Odette Estate sits on 45 voluptuous acres, tucked into the dramatic palisades of the Stags Leap District. 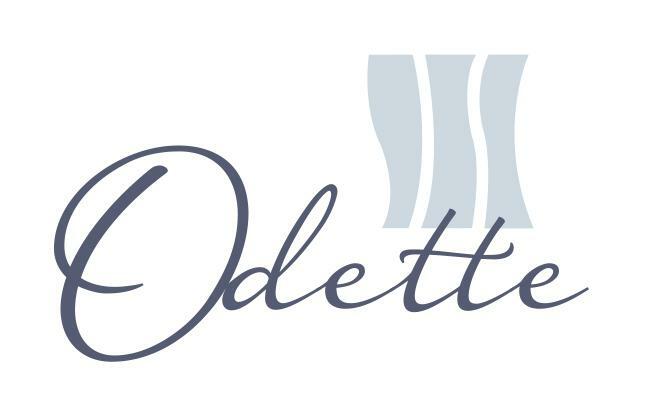 As the newest addition to the beloved region, Odette looks to serve as a "breath of fresh air" to the historic District. Contemporary architecture and design, paired with a contemporary stance on environmental responsibility, Odette is a symbol of the future of Stags Leap. With its two sister properties, PlumpJack and CADE (located in Oakville and Howell Mountain respectively), Odette rounds out the trio of wineries committed to producing full-bodied Cabernet Sauvignons that are notable for the combination of power and elegance, while simultaneously showcasing the unique properties of the AVA. Winemaker Jeff Owens and enologist Adrien Halpin are the masterminds behind Odette's notable success. A longtime member of the PlumpJack family and competitive by nature, that same spirit translates into Jeff's approach with winemaking. "I want to make the best wine possible." He is focused on crafting wines that are "energetic, expressive and approachable from day 1 to 25 years." Adrian has similarly been an integral part of Odette Estate's early development, joining Jeff in 2012 as his first hire. In addition to a pre-existing interest in moving to the renowned valley, Odette in particular appealed to Adrian due to the focus on estate-made wines, as well as the property's dynamic soil composition and the unique micro-climate of the site. Furthermore, joining the team at Odette has allowed him to "be a part of something," in building the brand and the winery literally from the ground up. The winemaking practices that Jeff and Adrian have established at Odette are truly something to be revered, as is evident by the first wines released.